A coalition of over 40 community organizations and unions is working to increase the minimum wage and earned sick time in Massachusetts. The Raise Up Massachusetts campaign is fighting the widening gap of income inequality by advocating for state legislation to raise the minimum wage from $8.00 an hour to $10.50 an hour. The increase would positively affect over 600,000 low wage earners. The campaign is also pushing for an earned sick day benefit for almost one million workers who do not currently have one available to them. Raise Up Massachusetts must collect roughly 200,000 signatures from registered voters between the 18th of September and the 20th of November in order to push the issues through to ballot for a binding vote in November 2014. 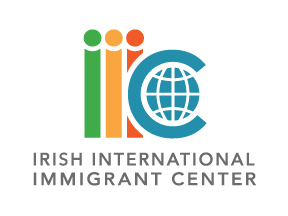 As an active member of the coalition, the Irish International Immigrant Center fully endorses the campaign. Johanne Méléance is the organization’s campaign volunteer, and will be working to collect hundreds of signatures. If you are interested in signing the petition or in helping Raise Up Massachusetts collect more signatures, please contact Johanne via email at jmeleance@iiicenter.org, or via phone at 617-542-7654 ext. 13.